Jamie Vardy named Barclays Premier League Player of the Season. The Leicester striker, Jamie Vardy has been named Barclays Premier League Player of the Season. Just few hours after winning the Football Writers’ Association Footballer of the Year award which he collected at a ceremony in London on Thursday night. 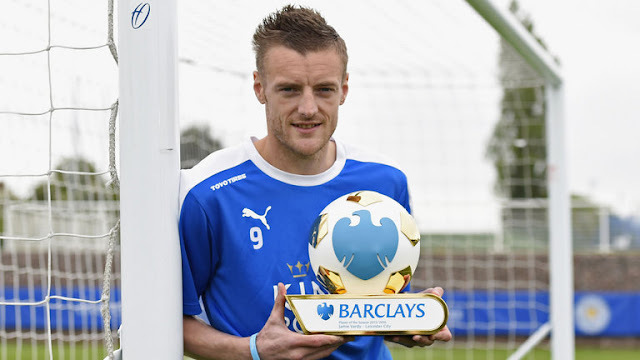 Congratulation to Vardy for winning the Barclays Premier League Player of the Season. BongoToday.com - Entertainment and Lifestyle : Jamie Vardy named Barclays Premier League Player of the Season.